Benefit from the freedom to create complex geometries with the use of water soluble support material. The two individual print heads allow you to combine different materials into one amazing 3D print. 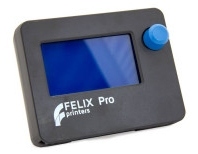 WIth the FELIX Tec 4 there is no need to exchange print heads when changing materials. Drop the object in clean warm water and leave it there for a while. Take out the object once the soluble support material has disolved. Configure your Tec 4 to your own needs. Select a Single or a Dual extruder and pick your own favorite colour. It starts with the essentials of a good 3D printer: a strong, lightweight frame. The open, characteristic design of a FELIX has many advantages. Due to its compact size it will sit neatly on your desk. 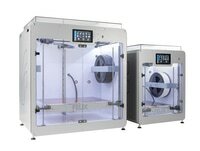 Order your Tec 4 today and start printing tomorrow.